﻿I collaborate with novelists, poets, artists & film-makers to help place their stories on virtual and physical platforms. Named one of the best poetry books of 2015 by Library Journal and shortlisted for the PEN Open Book Award. 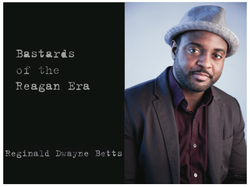 I was thrilled to work with the astonishing poet, memoirist and essayist Reginald Dwayne Betts in 2015 for the launch of Bastards of the Reagan Era. The collection speaks to incredibly important debates taking place in America's youth justice system. Click here to read the media kit. 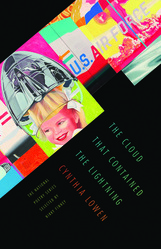 Cynthia Lowen’s award-wining poetry collection takes the vast subject of the atomic bomb and distils it into the life of a single man: J. Robert Oppenheimer. Acclaimed for it’s questioning of contemporary society through the reawakened lens of history, the book has been selected by Nikky Finney as a winner of the prestigious National Poetry Series. I helped with US and Asian outreach. Check out her site! Watch the trailer of Cynthia Lowen's award-winning film, Bully. Winner of the Kirkus Prize for Fiction 2014 and the New England Book Award 2014. Named in the Top 10 Books of the Year by The New York Times Book Review amid a slew of best-of lists for the year. 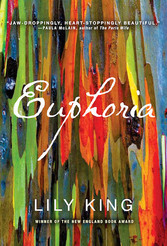 Set between World War I and II and inspired by events in the life of revolutionary anthropologist Margaret Mead, Euphoria is an enthralling story of passion, possession, exploration and sacrifice from award-winning novelist Lily King. I am working with Lily as her assistant behind-the-scenes. What a joy! Check out Lily's website here. 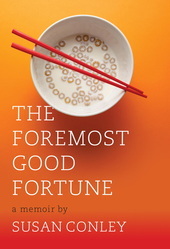 Created a China Tour for the launch of Susan Conley's award-winning memoir that charts her battle with breast cancer while living in Beijing. I helped to create an innovative sponsorship deal with the Peninsula Hotel Group (who sponsored the entire tour) and organized events in Hong Kong, Beijing and Shanghai. I also worked on Susan's novel, Paris Was The Place. Booked events in the United States, Paris and Geneva. From Victorian toy theaters to a graphic novelist's battle with schizophrenia that causes her cartoon characters to march off the page, the novella and six stories in Debra Spark's The Pretty Girl revolve around artists, artistry, and the magical--sometimes malicious--deceptions they create.